Flexibility Polyvinyl formal, polyester and polyesterimide wires are superior and are so flexible that it can be stretched, twisted without breaking the film. These properties approve the standard flexibility in "Moonstar" whereas polyurethane wires are inferior. Elongation The Elongation test is for inspection of tendency similar to the flexibility and elongation of the coating and displays a tendency similar to the flexibility tests. Dielectric strength It is a distinctive feature of "Moonstar" Enameled wire that breakdown voltage is higher for its medium coating. This absolute value varies depending on the measuring method. 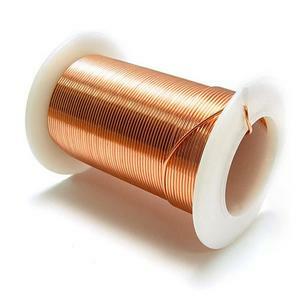 So far as the value of breakdown voltage in normal condition is concerned, however, polyester and polyvinyl formal and polyesterimide wires are best. Abrasion resistance In a cut-through test, which serves to determine heat resistance, the polyesterimide wire shows the best result, followed by polyvinyl formal wires comparison. Heat and shock resistance The property is generally referred to as heat shock resistance and is important for the purpose of determine corner radius and drying temperature. 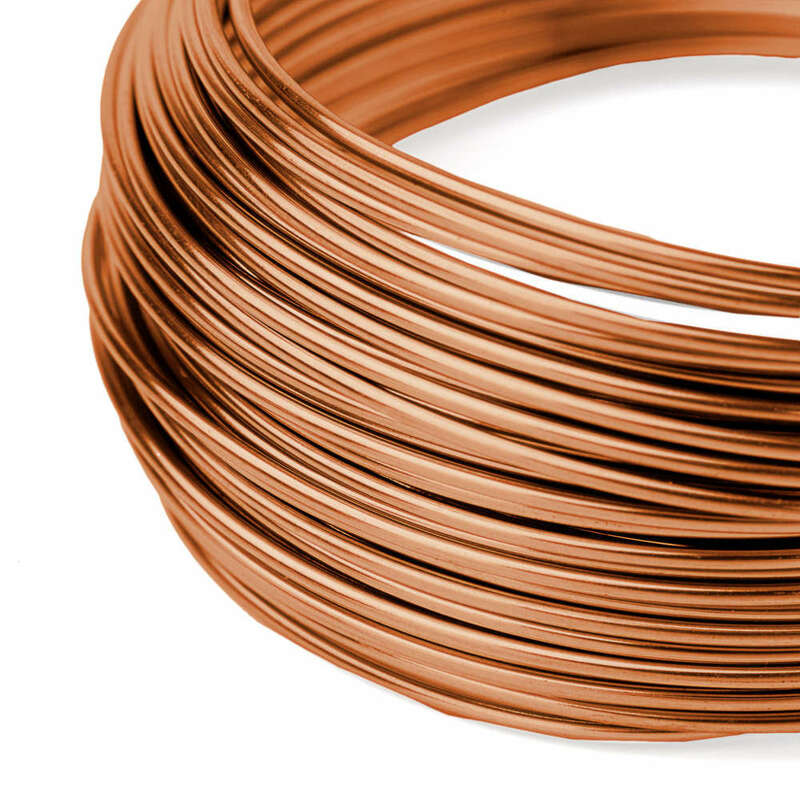 Comparison of this property of various wires at the same temperature shows that polyvinyl formal wire displays excellent performance, no crack occurring on the surface even in case the diameter of coil corresponds to that of the wire itself. Polyesterimide wire displays even better results and stand at higher temperature. Thermal life When judging thermal life of enameled wires, it is desirable to judge the life through tests conforming to actual conditions of use. The current test methods and judgment criteria in this connection, however, leave much to be examined for improvement concerning this examination polyesterimide has shown excellent results. Refrigerant resistances With the recent improvement of our living conditions, demand for refrigerators, Air conditioners, etc. is on the increase. "Moonstar" has the capability of meeting the above demands. Polyesterimide wires have shown excellent results. all Sizes / Gauges Available Ready Stocks. 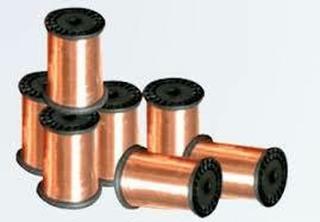 we are leading supplier for copper wire . 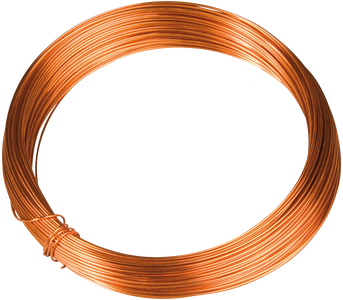 Enameled copper wire, also known as magnet wire, is copper wire coated with a thin layer of insulation made of tough polymer film. 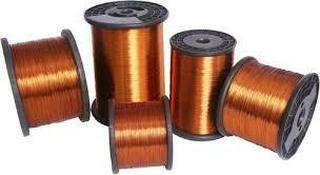 Enameled wire is most often used in transformers, motors, electromagnets, and in equipment and machinery that require tight coils of insulated wire.